The Ecumenical Leadership Academy focuses on dialogue to reach the truth and the paths to follow according to our own circumstances. Academia exposes ideas or concepts not for the purpose of learning or memorizing them, but with the idea of reflecting and unveiling the plan that God has for each person and for the community to which they belong and in which they participate. We are ecumenical because our doors are open to other denominations. Our goal is to advance the leadership of laity in our communities: those who wish to learn to facilitate groups and those who wish to learn and reflect on their own Christian formation. Promote and nurture the leadership and formation of lay and lay leaders of Latino Ministries in an ecumenical way. Train committed leaders with their community that facilitate Christian formation and encourage the development of new leaders through practical and technological resources. In 1999 The Episcopal Church and The Evangelical Lutheran Church in America established a relationship of full communion. In 2014 the Evangelical Lutheran Church in America launched the Lutheran Leadership Academy with a program consisting of 10 videos of Christian formation with questions for group reflection. 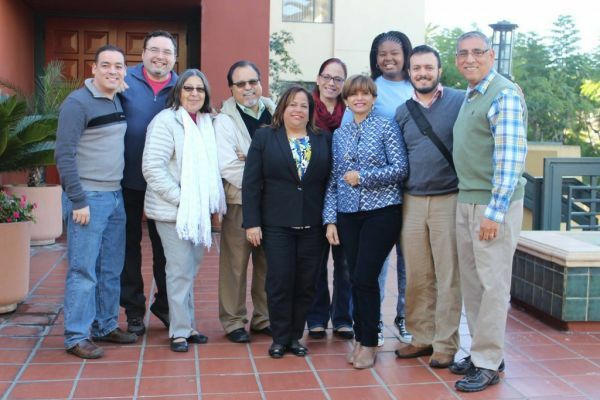 In 2015 the missionaries of the Latino / Hispanic ministry offices of The Episcopal Church and The Evangelical Lutheran Church in America expanded their collaboration and from this the Ecumenical Leadership Academy was born. Today Episcopal parishes in several dioceses have adopted the Ecumenical Leadership Academy program as their Christian formation program. For this, The Episcopal Church has collaborated with new videos, and has added to the program, the learning of Theological Reflection through the method of theological reflection used by grassroots communities (see, think, act). What is the Ecumenical Leadership Academy? This program has been structured to include four elements: Prayer, Formation, Reflection, and Commitment to Action. The Academy program consists of 4 modules, each module contains 3 or 4 courses and each course offers 6 to 8 sessions of between 25 and 30 minutes each.